When FINALLY arriving to Medulin after a bustrip that was supposed to take three hours, but instead took six, we got picked up at the bus stop by the woman, Rose, who we rented the apartment from. We got settled, went food shopping, made tacos and then we didn’t get up to very much before we went to sleep. The next day we went straight to the beach, there is one big beach in Medulin, Sandy Beach, which sounded much better than it actually was. It was full of tourists and neither the beach or the water was very nice at all. We had lunch at the beach and then we walked further out on the half island where we found some cliffs, good snorkeling and not too many people. The second day we had in Medulin the weather was quite bad, so we went in to Pula where we checked out the city and the old town. There are not a lot to say about the remaining two days we had in Medulin, we spent the whole day on the beach, brought lunch and had ice cream. On Tuesday we went out for dinner and drinks. Now we’re back on the bus and on our way to Italy and Venice. 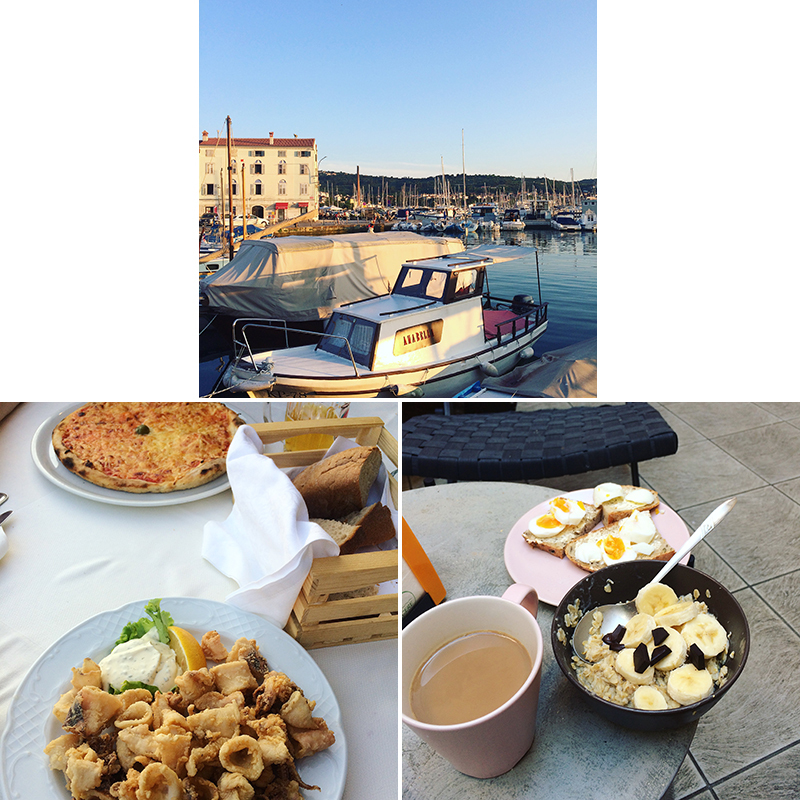 Dear Izola, what a nice time we’ve had with you. 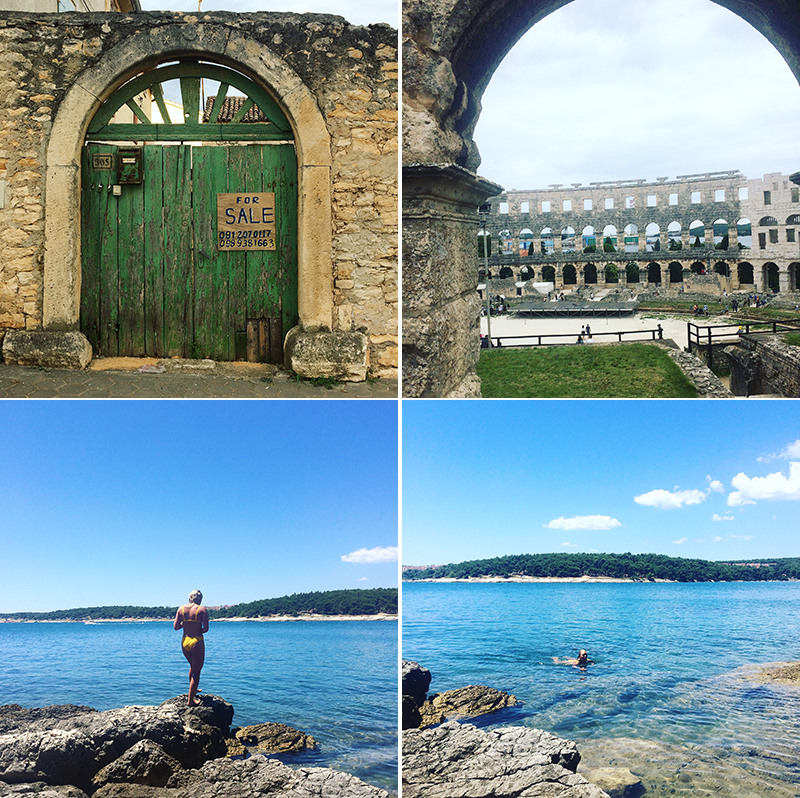 We arrived in Izola from Bled at 6 in the evening, checked in to our hostel, and then went straight down to the beach to go for a late swim. After the swim we went out for dinner in the harbour. The next morning we met two Slovenian guys at the hostel who we went to the beach with. The Slovenian guys didn’t stand very long in the sun, but me and Maria spent the whole day on the beach except when we went back to the hostel to make lunch. After the beach I went for a run, then we made dinner at the hostel. 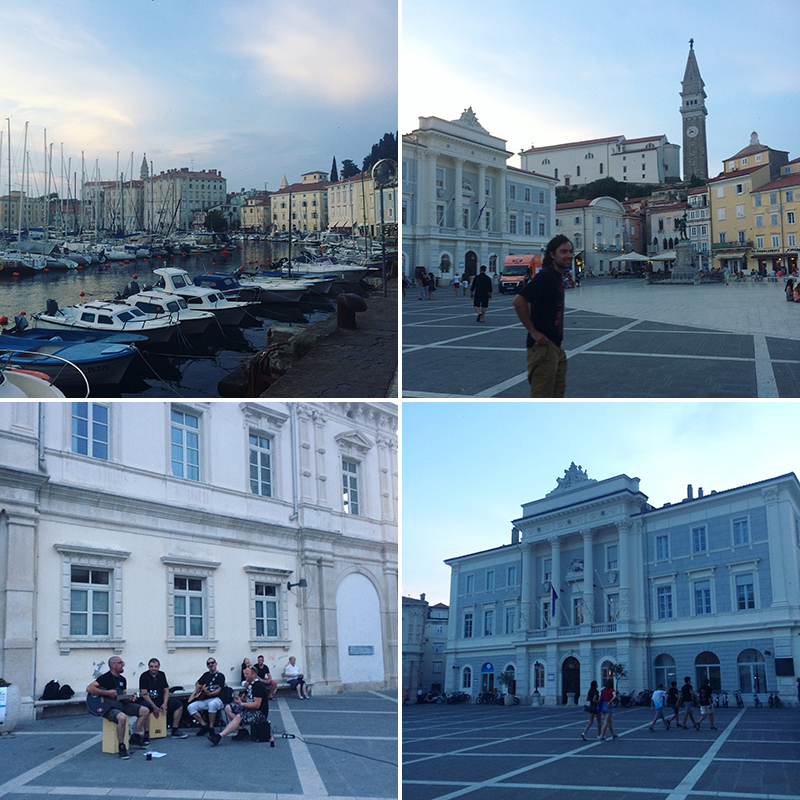 The Slovenian guys told us about some kind of musical evenings which took place in Purin, a town not far from Izola, where they were going. Maria stayed at the hostel, but I followed them to Purin, a beautiful town where no cars were allowed. 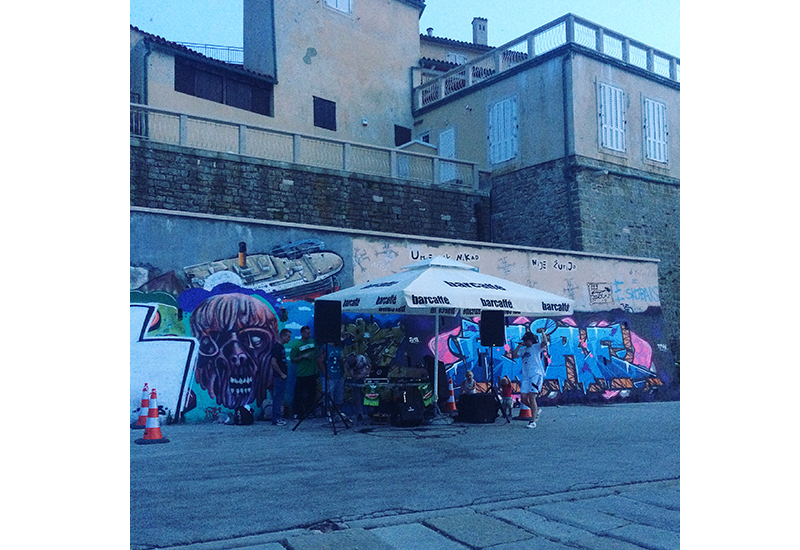 There were some jamming going on at different places in the town, we ended up by some Croatian rap for a while before we continued exploring the city. 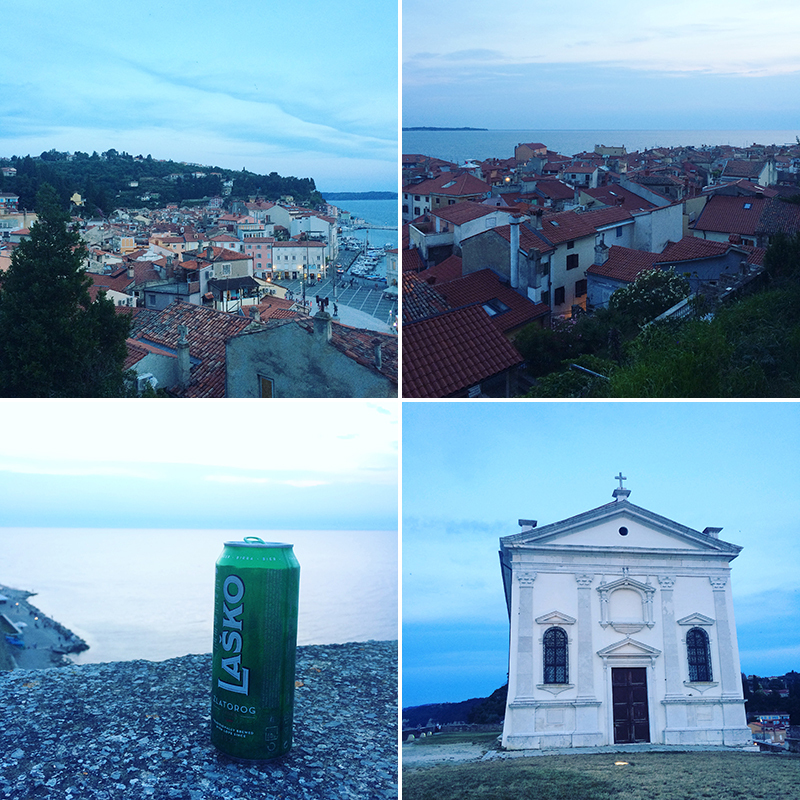 We sat down for beer, but the evening didn’t get to late since the last bus to Izola left at 22.10. 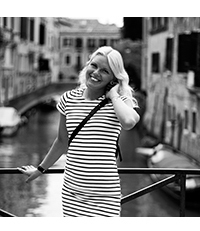 Friday and midsummer eve! Believe it or not but on this day we had rain and not a lot more than 20 degrees. Our very friendly hostel host recommended us a museum we could go to during the rain. It was a museum about Izolas boat history. After that we chilled at the hostel for a while, then I decided to go to a local gym. After the gym we made lunch and then the sun came back! Not very surprising we ran down to the beach to get an hour of sun before we had to get ready for the evening. 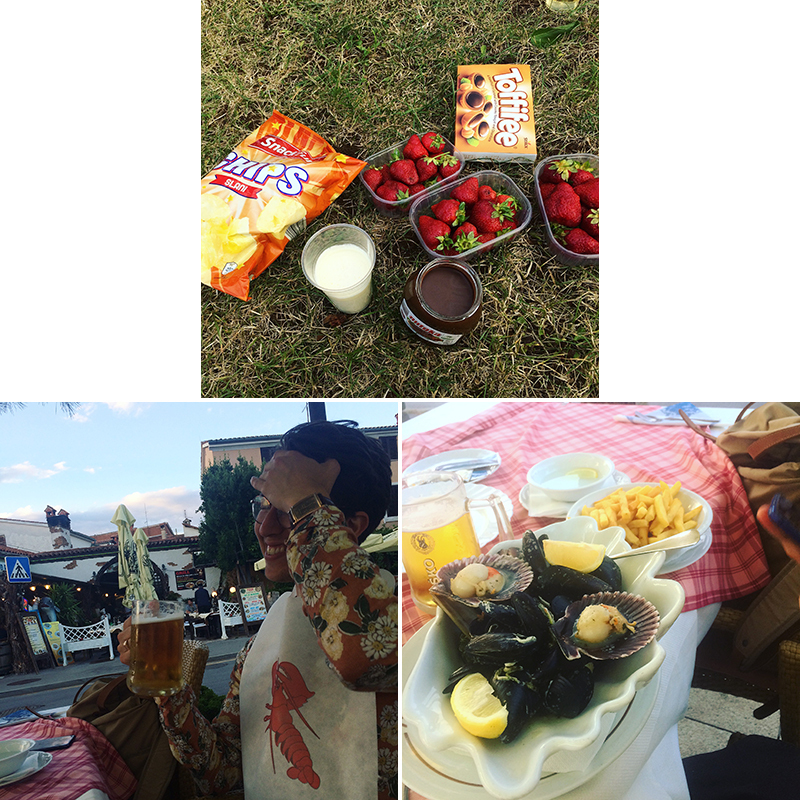 So, Johannes came to Izola, we got strawberries and wine and went to a park to sit down. Thereafter we went to a restaurant in the harbour were we had a really good midsummer dinner, clams, calamari and burger. The waiter got us shots on the house, which I think he enjoyed more than we did. After dinner we went on to a wine bar just by our hostel where sat for a while before we went back to the hostel and went to sleep. 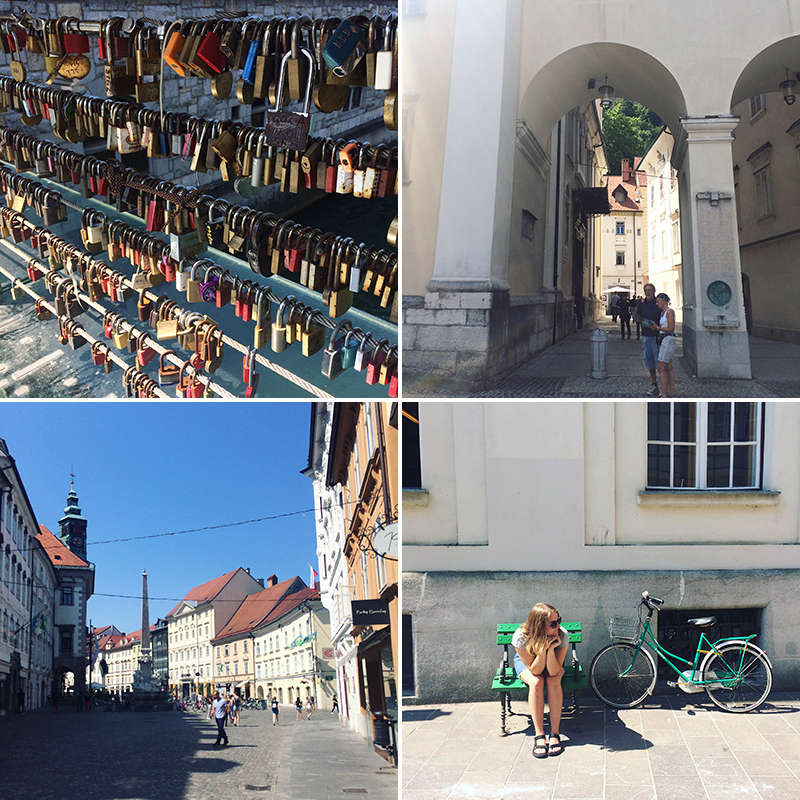 The day after our wonderful stay in Ljubljana we took the bus to Bled. 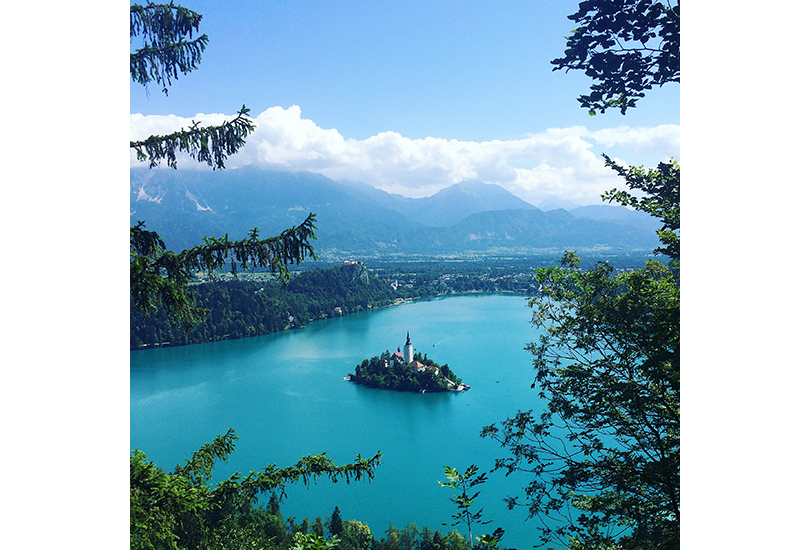 Bled is very famous for its beautiful lake, Lake Bled, with it’s turquoise water and castle on the lakeside. We checked in to our hostel, but decided to take the bus to another lake close by which is meant to be very beautiful as well but have fewer tourists. Lake Bohinj was amazing as well, specially in the sunset. We hiked around it, and finished with a swim. 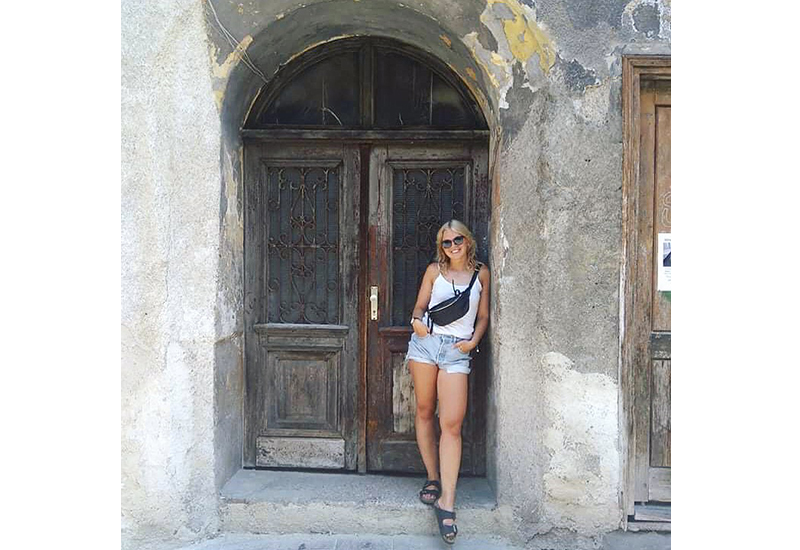 When we came back from Bohinj we cooked pasta carbonara at the hostel. I went to a bar across the street with some others at the hostel to watch one of the soccer games before we went to bed as well. The next day we woke up quite early to have time to see Lake Bled before we had to catch the train for our next stop. We walked around the lake and hiked our way up to one of the viewpoints. 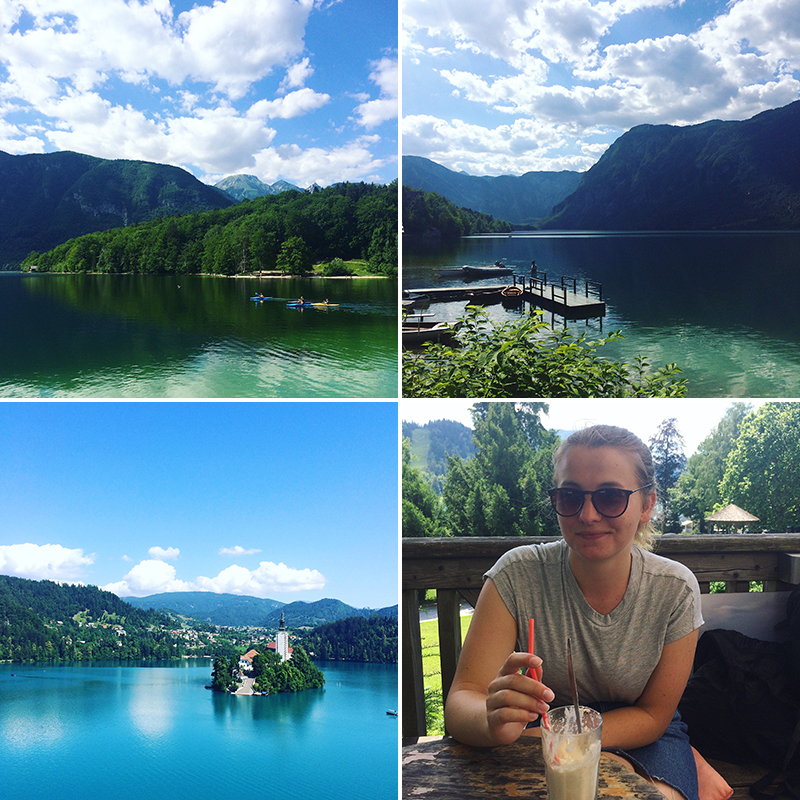 That, lunch, and an ice coffee before we had to leave Bled was all we had time for that day. 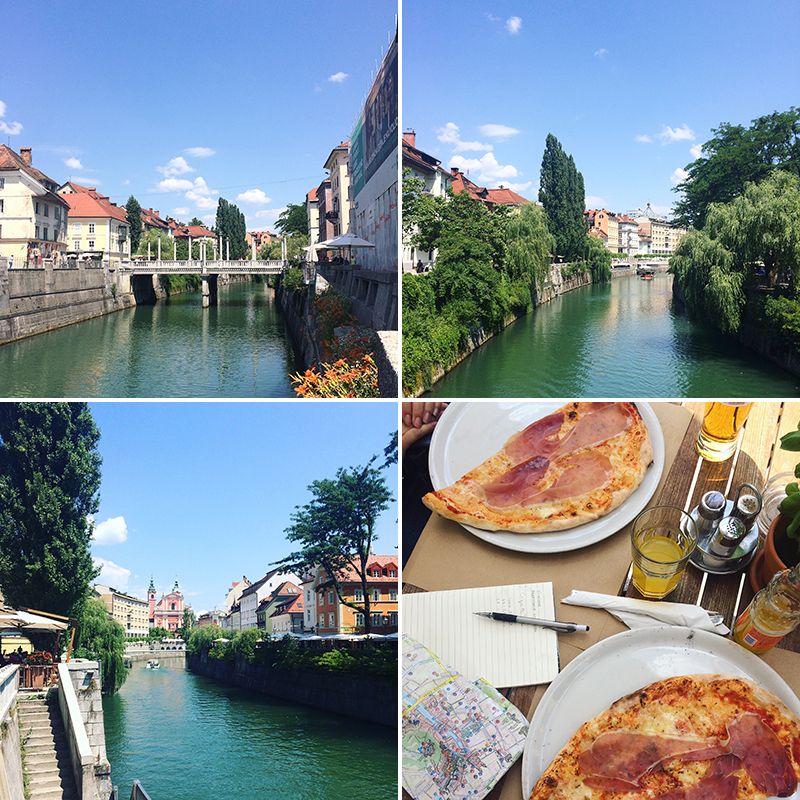 First of all, Ljubljana - wow. 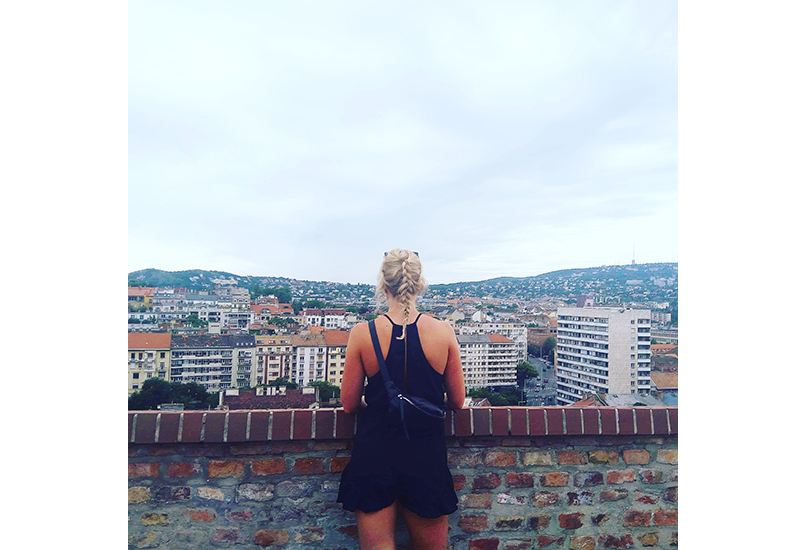 What a beautiful city, and l just can’t believe what a good day we had there when I’m looking back at the pictures. 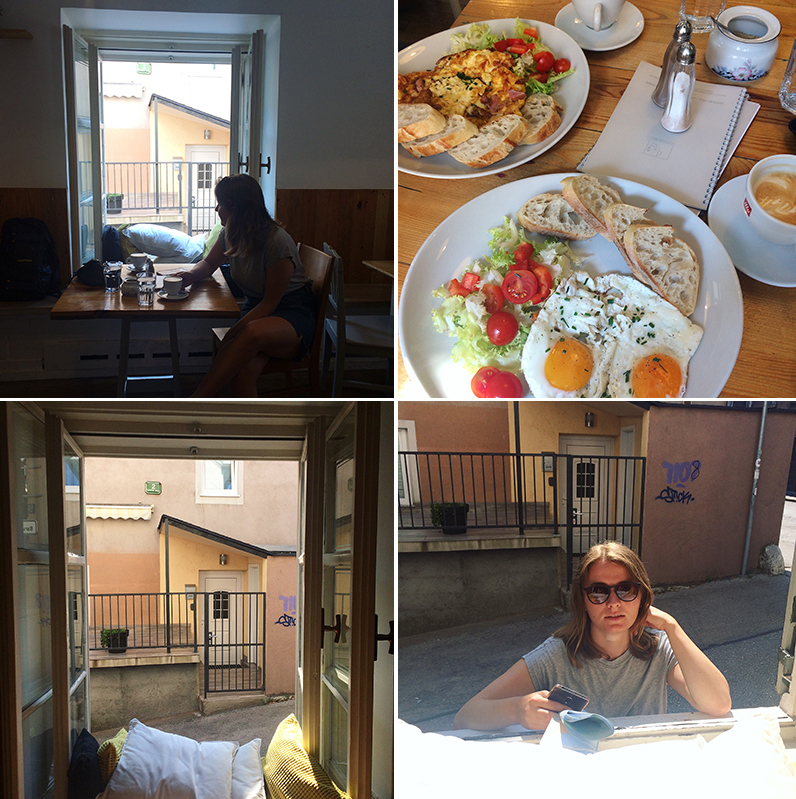 We arrived late at night, and started the next day with breakfast at a café called Gostlina dela. 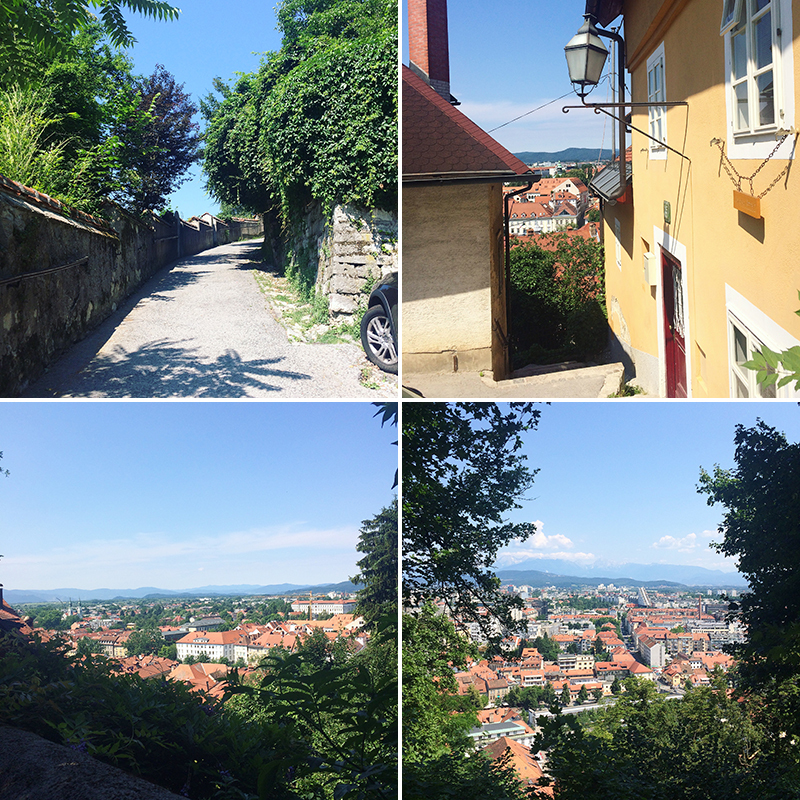 Next we went for a walk in the old town (which was the only thing we saw of Ljubljana to be honest). Thereafter we walked up to the castle to see the view over the city (and a bit of he castle ofcourse). We had a lot of planning to do over future stops so we sat down at a restaurant just next to the channel where we splitted a pizza. After the pizza we got gelato and then walked back to the hostel to make some bookings. Later on we went to the old town again and went around the streets we already walked a bunch of times. 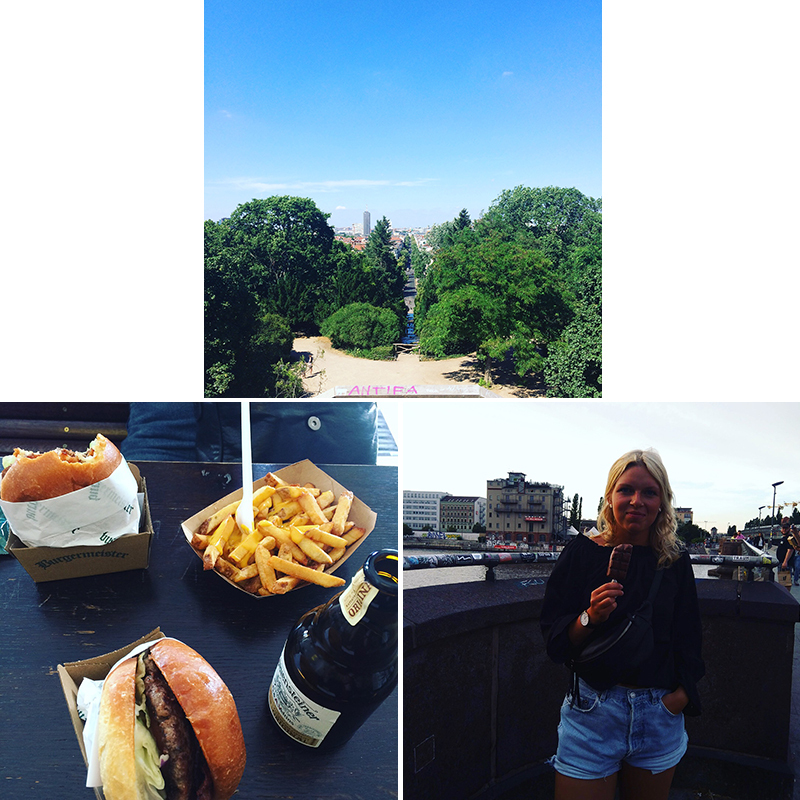 We sat down at a café for ice coffee, and then we went to get burgers. After dinner we found a big stage in a park close by where Ljubljana Festival were going on. There were a live show with acrobats which we sat down and watched for a while. 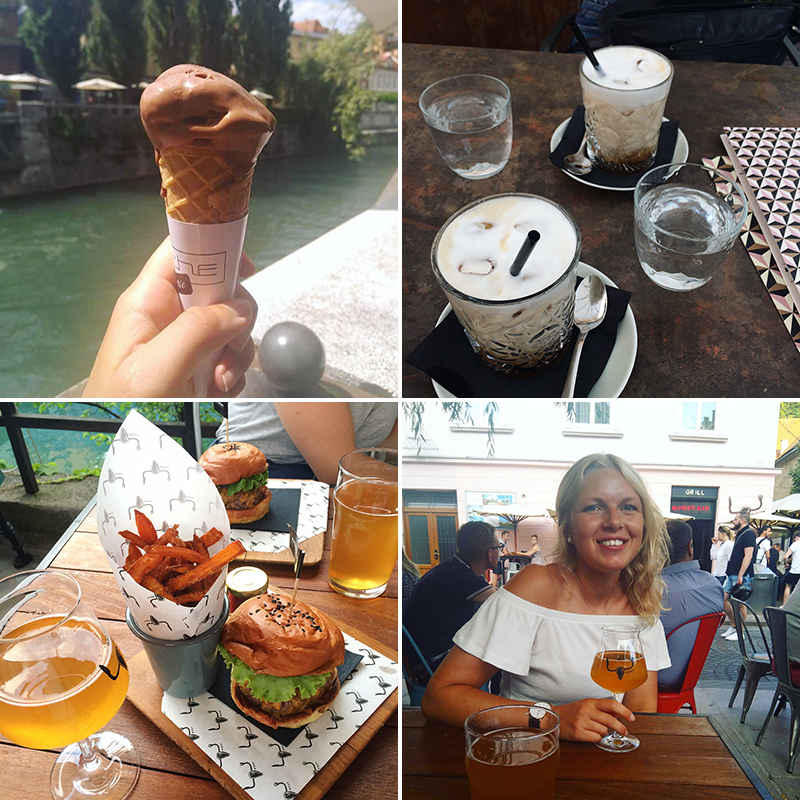 Before the night ended I made sure to get the last out of Ljubljana and got another ice cream at a new restaurant just by the channel. 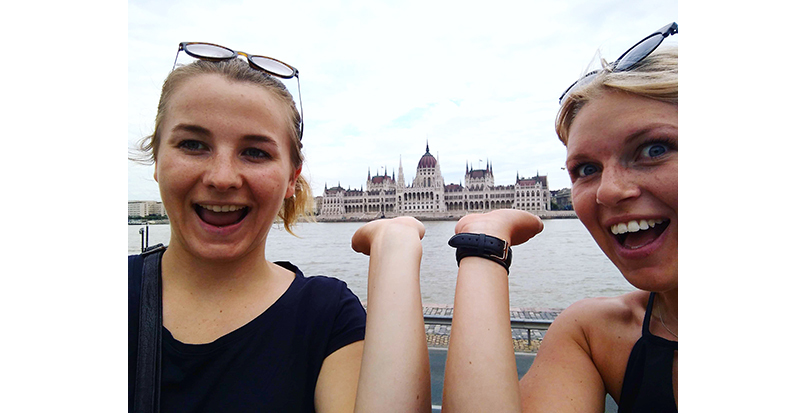 Right now we are on our way to Slovenia from Budapest, but to make the most out of the trip we made a stop in Vienna for a few hours. Unfortunately the lockers at the train station were full, so we had to carry our bags around. 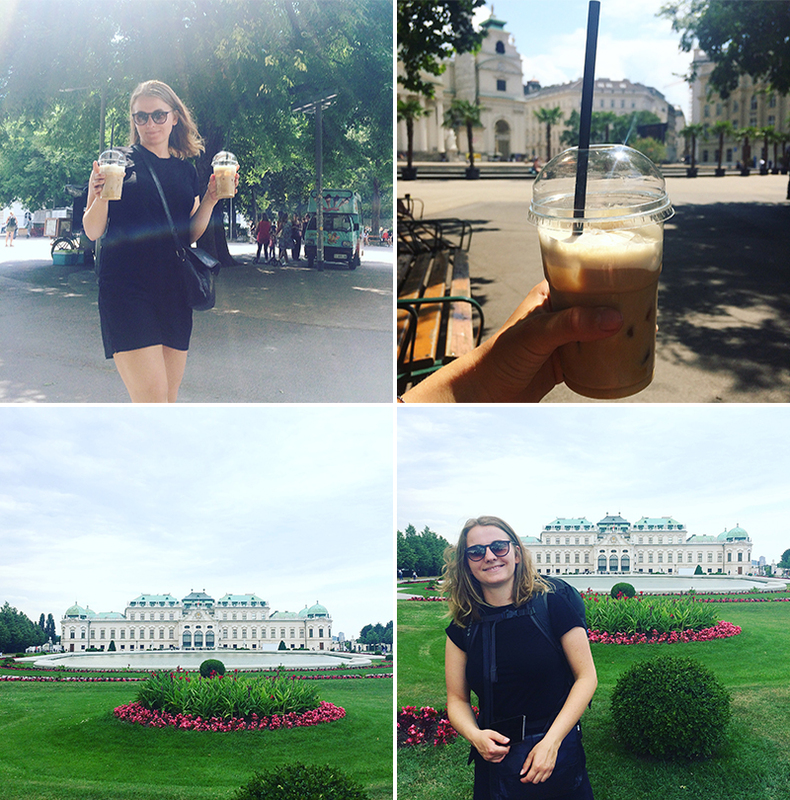 Despite that we managed to go for a walk, see some nice buildings and get an ice coffee. 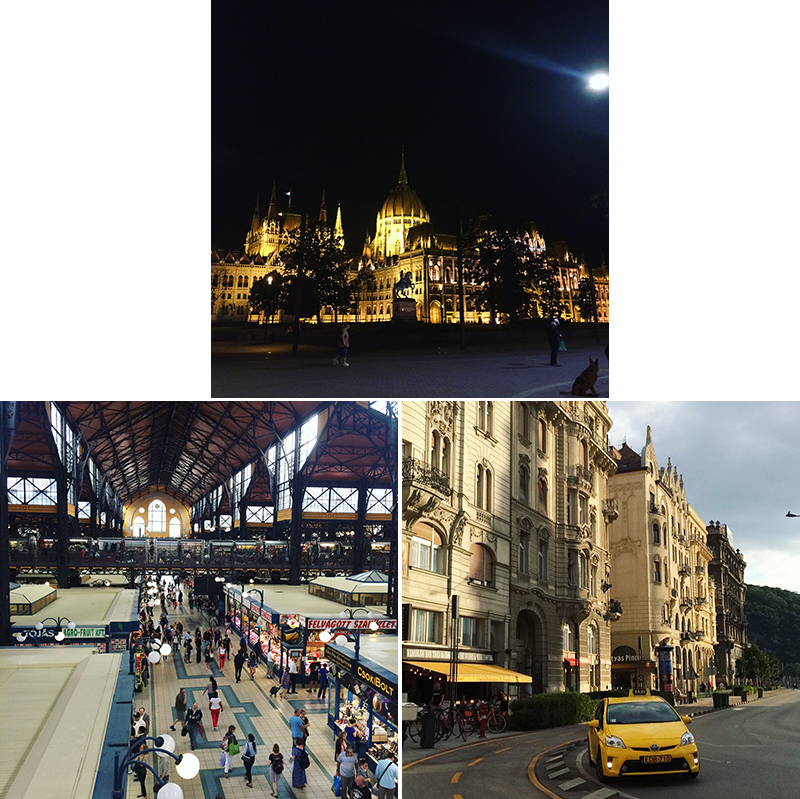 Our night train arrived at Budapest railway station at 9 am on Friday morning. 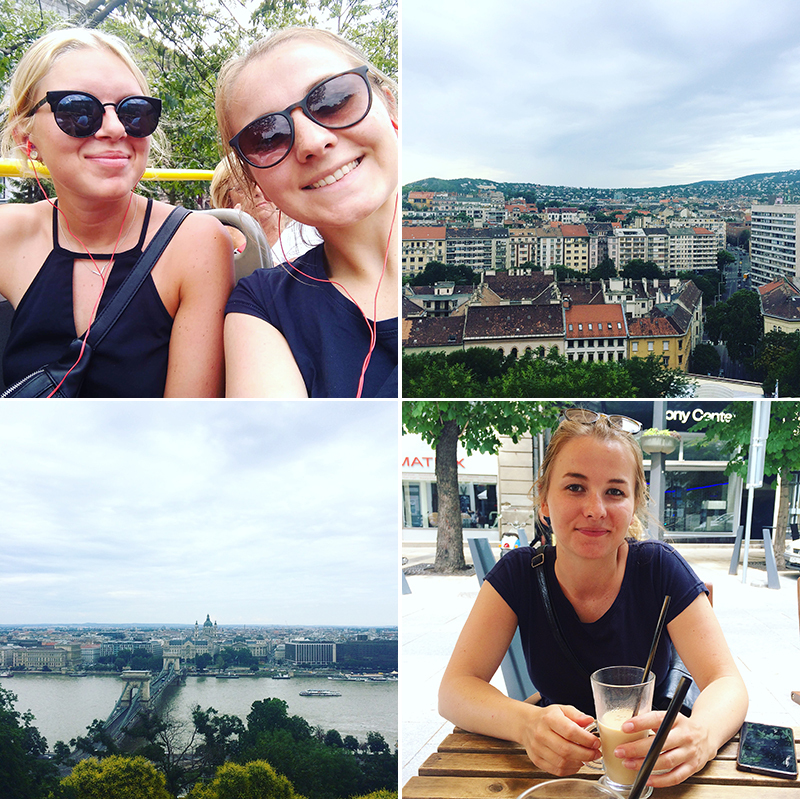 After that we went to the hostel, had breakfast, and then went to Gellert bath. 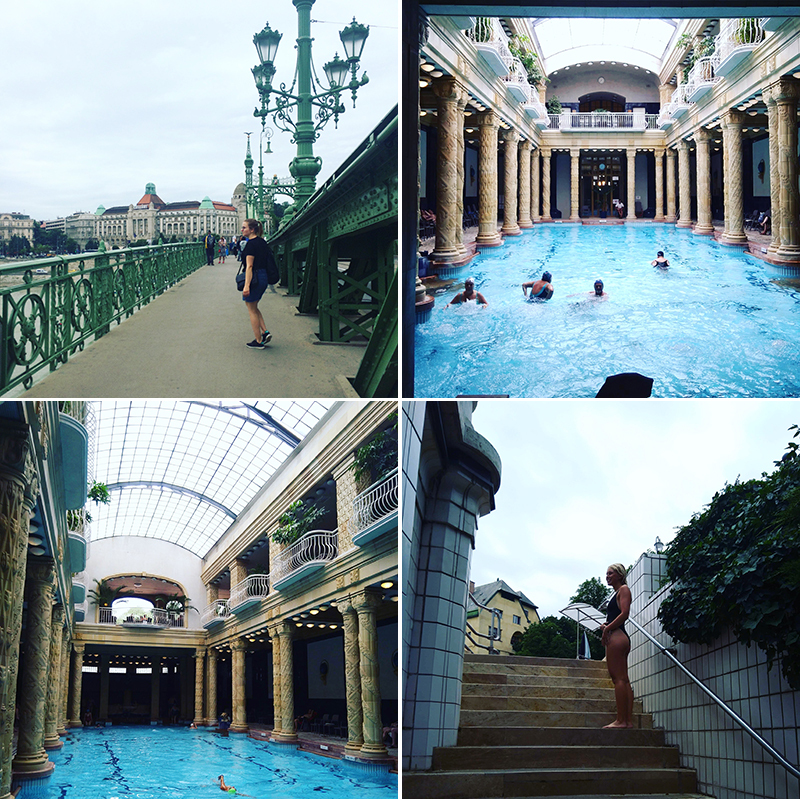 Gellert bath is one of the famous thermal baths in Budapest that I’ve always wanted to go to. After the bath we made lunch at the hostel, and then we went to the city centre. 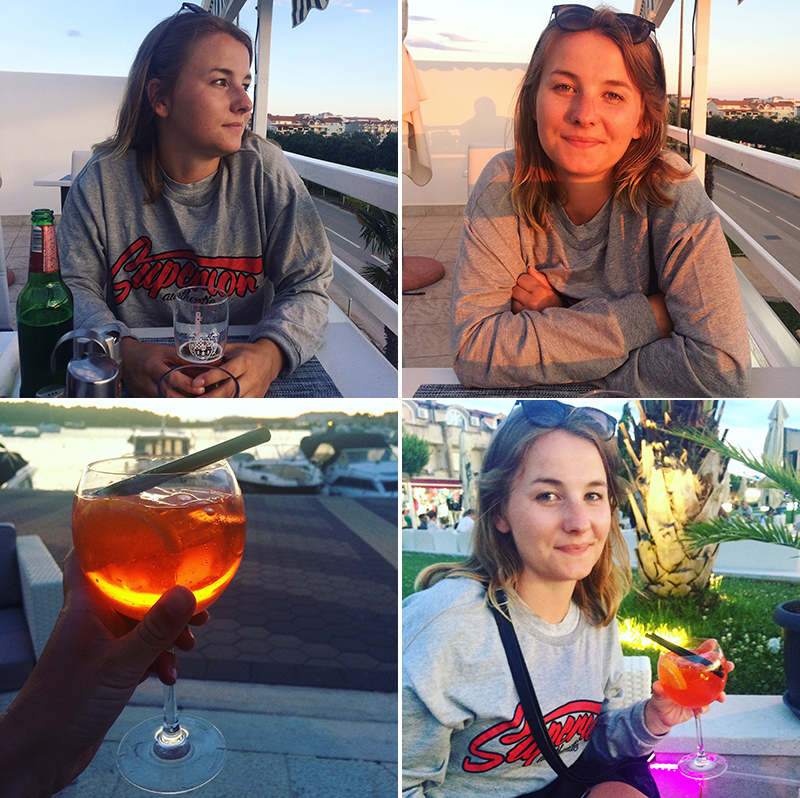 We had goulasch soup and wiener schnitzel for dinner, followed by drinks at a rooftop. The second day in Budapest we went on a Hop On Hop Off bus tour where we first went around the city centre. After lunch we went to the castle where we walked around for a bit and looked at the view, which was quite amazing. The evening got pretty quiet, we cooked dinner at the hostel and had an early night. 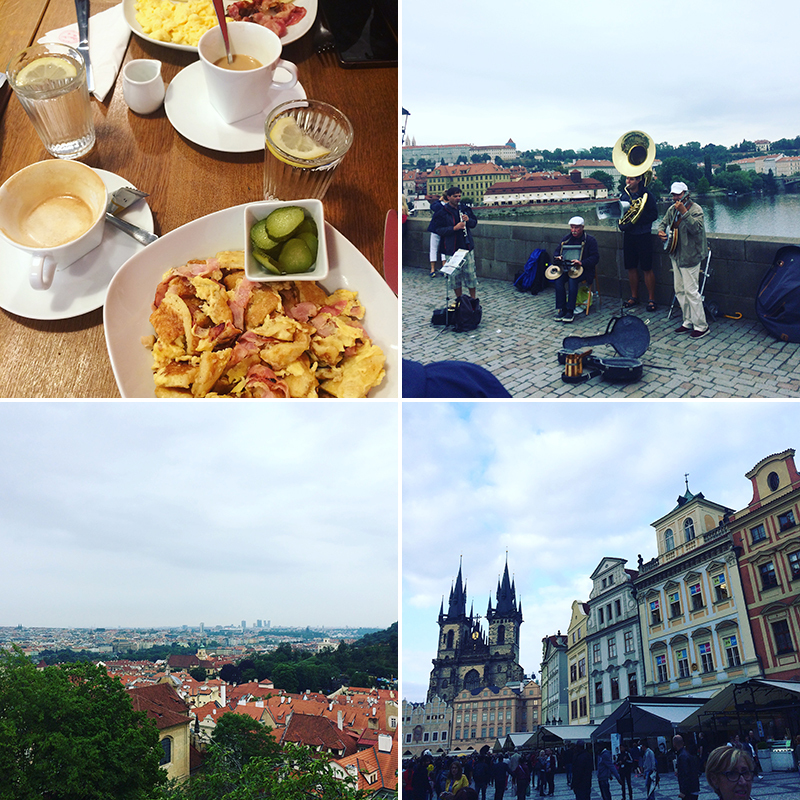 We arrived to Prague late on Tuesday and went straight to our hostel and then to sleep. When we woke up the next day it was raining and not close to as warm as Berlin. We went out to get breakfast and ended up at a small café that served pancakes and wine. I got the chopped up pancakes mixed with scrambled eggs and bacon - this was supposed to be some kind of specialty. After breakfast we had another stroll around the city, as you can see on the pictures the weather was not too happy though. After lunch we went on a walk up to Petrin Hill and Malá Strana (the little side) which gives you a great view over the city. In the evening we went to a another pub crawl, which got pretty intense just as we got promised. It’s fair to say that we had a really good night at least. The second and last day in Prague didn’t get very busy, we just made some more strolling in the city and prepared for the next trip that was the night train to Budapest. 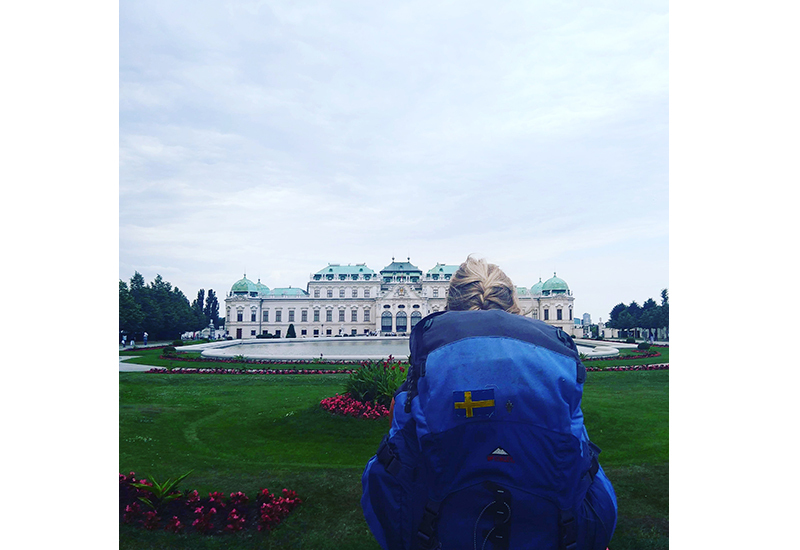 So this Saturday me and Maria started our backpacking tour through Eastern Europe. We started off taking the train down to Berlin where we arrived at 4 pm. We checked in to our hostel, we stayed at Die Fabrik in Kreuzberg. The first evening we only went for a walk in the neighbourhood and actually ended up strolling along the East Side Gallary, which is a part of the Berlin Wall with beautiful paintings on it. We went to a friendly little place called Yaam, had a beer, then walked home by the river where we stopped to listen to some street musicians. Day two in Berlin, and we decided to get as much of that Berlin sightseeing in as possible. 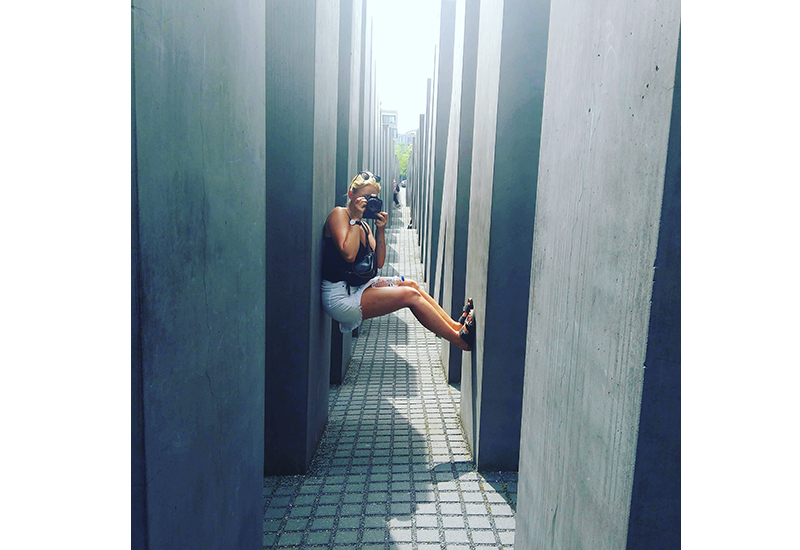 Started with Checkpoint Charlie, which mostly seemed like a tourist-trap, then we continued to see the Holocaust Memorial. 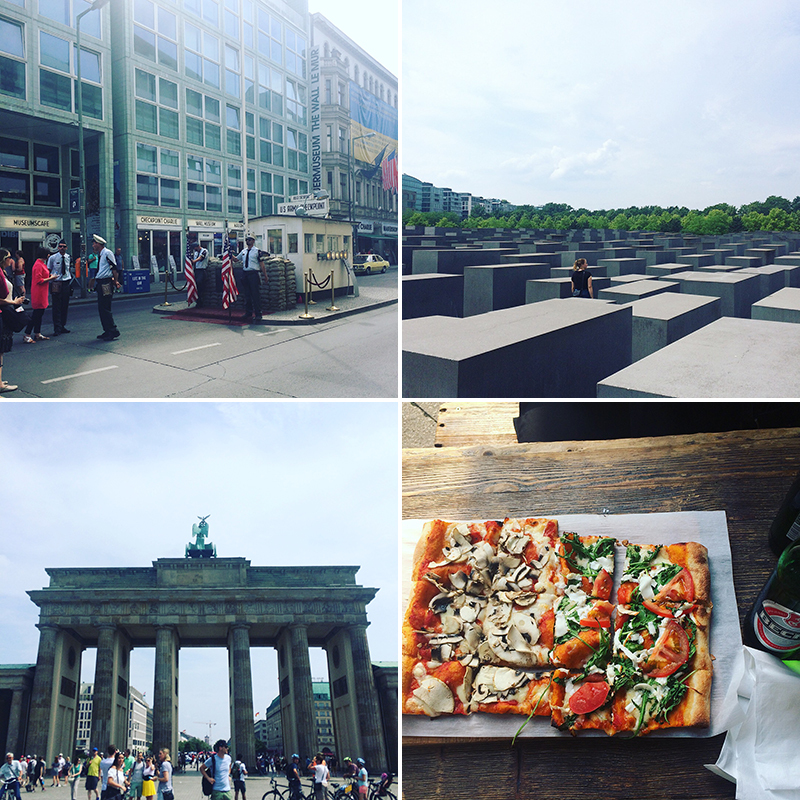 After that we kept going to Brandenburger Tor, went for lunch, and then we took the U-Bahn to Alexanderplatz before we headed back to Kreuzberg. Close to Kreuzberg we visited a fleamarket called RAW. The evening started off with a few pizza slices and beers, continued with cocktails and finished with a pub crawl where we met some other backpackers. Last full day in Berlin we didn’t have a quick start, went for brunch at noon and then went back to Alexanderplatz for another stroll around. Thereafter we took the U-Bahn to Victoria Park where we went up to the lookout, then we happily sat down in the park for an hour. 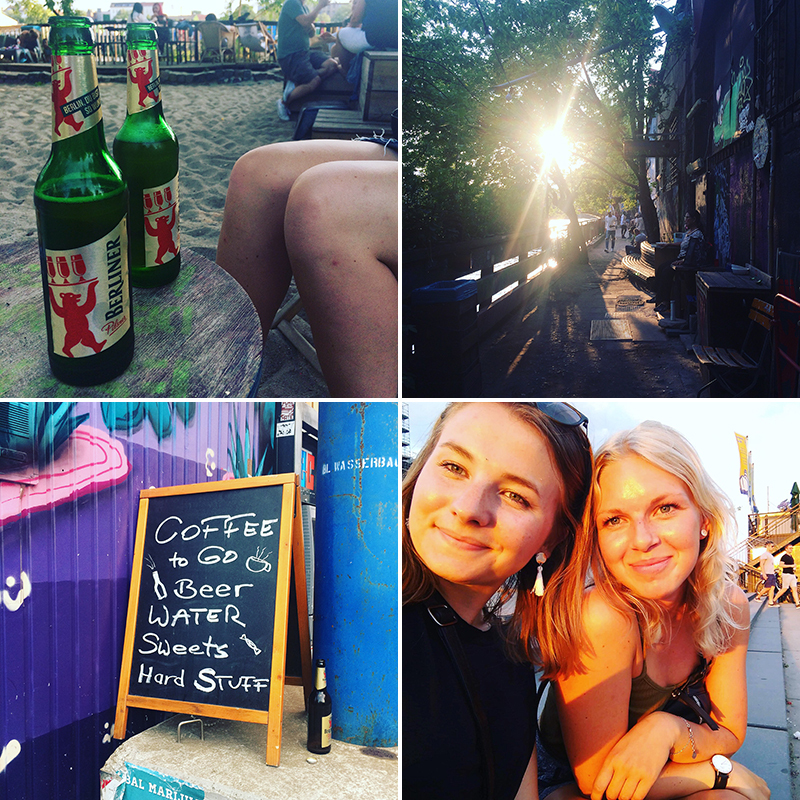 We decided to walk back to our hostel from Victoria Park, seeing a bit more of Kreuzberg in the way back and catching the famous Burgermeister burgers. Before we decided to end the day we decided to combine an ice cream with a final stroll by the channel. 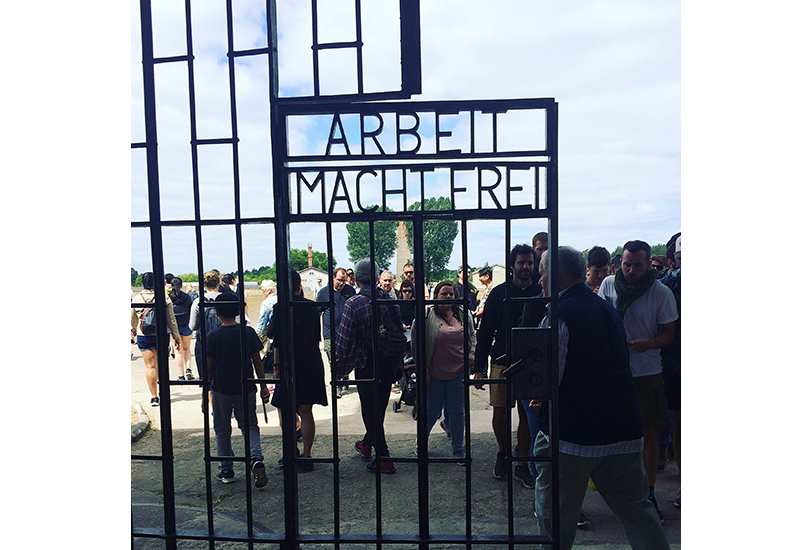 Before the train went on to the next stop, Prague, we wanted to visit a concentration camp, and just got the time to go on a guided tour at Sachsenhausen. This was by far one of the best tours I’ve ever been to.